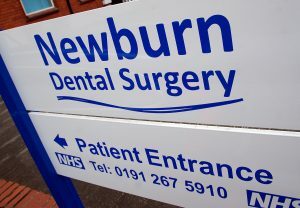 Newburn Dental Surgery > News > News > Our Brand New Signage and Website! Our Brand New Signage and Website! ANNOUNCING OUR BRAND NEW SIGNAGE AND WEBSITE! We are so excited to reveal our brand spanking new website! We’ve also added information on all our dental services, plus extra information for families and nervous patients, plus features on our key staff members and a little more on the practice background. We will be uploading all our testimonials onto a special section of the site, so please send us through any comments on your appointments or experience – we’d definitely love to hear from you! Have you also noticed our new signage on our practice building? The new signs were created and designed by the fabulous people at Top Signs in Hexham – they help new and existing patients to see our opening hours and entrance/exit signs from the Newburn Road. Our practice now has a Facebook page and our Twitter page – please check them out for the latest news, offers and information. Our new website and Facebook/Twitter pages will help us communicate with our patients more effectively and will allow us to reach new patients in a different way. 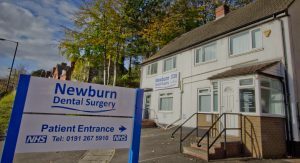 Please let us know what you think of all these changes – either email us on newburndental@gmail.com or comment on our Facebook or Twitter pages – we look forward to hearing from you soon!